As Walt Disney World and Disneyland prepare for the new change this October 9, it’s important to take a step back and understand what got us here. Before we go any further in this article, let it be said that I enjoy and root for Disney to succeed. I say that not just because mom and dad will leave me their stock when they take that final step in the circle of life, but as a former cast member and parent who enjoys the parks with my three children. 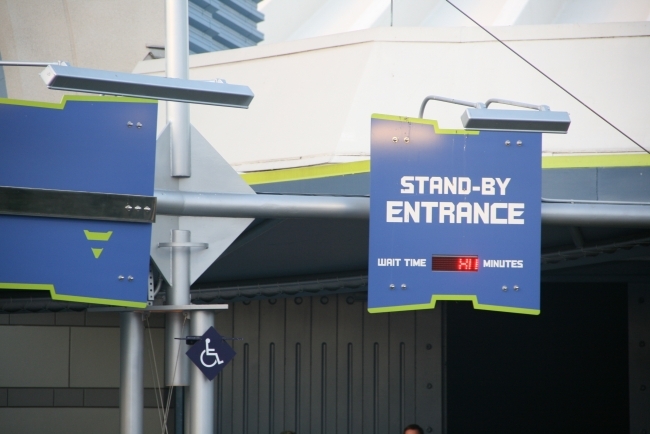 What the Guest Assistance Card does, or did depending on when you read this article, is allow a person with a disability to use a special entrance, essentially skipping the line, and taking up to 6 other guests with them. It was designed, I’m sure, with the noblest of intentions since the overwhelming majority of guests would be waiting in the main queue. Helping people out right? Nice idea. There will always be people who maliciously take advantage of the system, the benefit they enjoy is that most of us never find out about it. Insert Manhattan mothers, bragging that as part of the 1% they can skip the lines by hiring a “park concierge” who accompanies them to the park. Via the concierge’s disability status, the entire party skips lines while other guests are left to wait an hour or more in some cases. Not to mention this flagrant abuse doesn’t take into account the problem of obesity. Overweight guests could abuse the system also. Given the choice of walking in the unpleasant heat for some exercise or renting a scooter to skip some lines, it’s sad to say that not everyone makes the decision deemed morally just. Thanks to CNN and MiceAge for letting the rest of us following this abuse that the procedures are receiving an overhaul. It’s not FastPass, but it kind of is. Essentially guests with disabilities receive one ticket per ride equal to the current wait time for that ride, and also one ride at a time. An example. Say Winnie the Pooh has a 60 minute wait time (which still baffles me for all that the ride is) you’ll be issued a ticket to come back in that amount of time, less a few minutes to actually use the wheelchair accessible entrance. Technically yes, I guess, but my sympathies that the previous system was ruined. Issuing windows to ride certain things are most likely going to complicate an already stressful and overcomplicated vacation for guests with disabilities. Can Disney Make it Better? A.) Any guests 18 or under in a powerchair or scooter should be able to utilize the old system. No exceptions. Disney World and Disneyland are meant to be magical, especially for children, so let them enjoy it. B.) Two systems based on the type of chair. Put manual wheelchairs and mobility scooters into the new system, while custom powerchairs can use the old system. Custom chairs are expensive and generally designed for individuals with mobility concerns due to their spinal cord or worse. They deserve an express pass to the magic, and possibilities of someone faking to game the system would drop significantly, and those still choosing to do so have the some serious bad karma to deal with. C.) Use both the old and new procedures, but allow Guest Relations to make a judgment call. Disney doesn’t want to offend anyone by asking, but again by using the above two examples and just some common sense, the cast members there are often seasoned enough that they can make an informed decision. Few questions about the “family member” can help provide authenticity. In general most people don’t do well under the slightest pressure. It just stinks that a few bad apples have ruined what was meant to be something unique and beneficial. If the rich folks don’t want to wait in line, pony up the extra cash for VIP tours. Disney still takes care of you, you just have to pay for it. Or if you want to avoid mass crowds, just do what we do. Pull the kids out of school a week at the end of September and practically walk onto every ride. Have your own suggestions that you want guests to share with Disney? We’d love to hear them in our comments section. Remember, our travel cup holder works on your wheelchair and scooter in the park and beyond, even holding your beverage at 10,000 feet. Be sure to check it out.